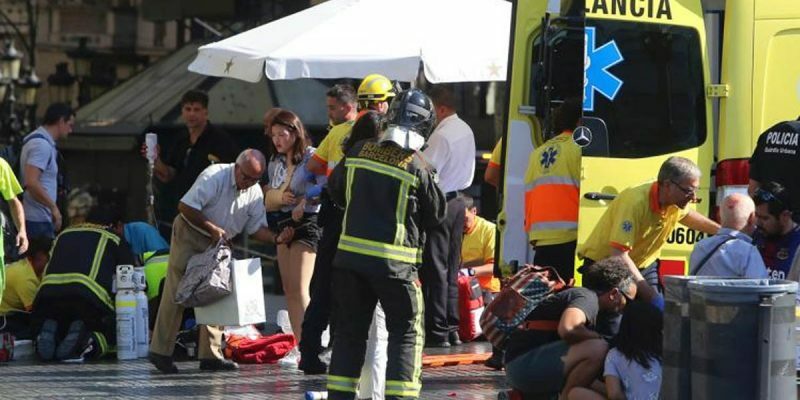 Within hours of the attack in Barcelona, Spanish police had begun investigating Driss Oukabir, a 28-year-old man who was born in Morocco. He is thought to be the first person arrested in connection with the atrocity. Reports suggested that Oukabir hired the white Fiat van used in the attack from a rental company in a town around 25km (15 miles) from the centre of Barcelona. According to Oukabir’s Facebook page, which was later taken down, he had lived in the French city of Marseilles but moved to the Catalonian town of Ripoll. Police sources said that he has a NIE – the identity card issued to foreigners who live inSpain. The Spanish newspaper ABC reported that although a warrant had been issued for his arrest over allegations of domestic abuse, police did not suspect him of any jihadi activity. El País said he had spent time in prison in Figueres, Catalonia, and had been released in 2012. The Tulane men’s basketball team was in Barcelona as part of a tour of Spain this week. Many college basketball teams will spend part of August playing a series of exhibition games against international opponents; doing so promotes the sport of basketball and also gives the team a leg up on preseason practice. Clemson and Oregon State also had teams in Barcelona set to play exhibitions. Fox News is also reporting all of the Tulane squad has been accounted for and none are hurt, which is also true of Clemson and Oregon State. Their games scheduled for tonight have been cancelled.